Tech sector to be harmed by Britain’s new immigration policies? UK-based tech-driven companies could face difficulties in hiring people beyond the European Union if proposed alterations to the UK’s immigration laws are adopted. A shortage of EU-based skills in programming and software engineering means that UK tech companies are more often than not forced to look to the USA and Asia in order to secure the necessary talent. It’s a skills shortage that recent government initiatives have done little to redress. Matters could become even more desperate if UK Prime Minister David Cameron sanctions a further tightening of immigration rules. Among the proposed changes are guidelines that would reduce the number of non-EU residents entering the country via skilled work visas. The Migration Advisory Committee, or MAC, have been asked by the government to review the current ‘Tier 2’ skilled work visa as it is known. Currently, a little over 20,000 individuals enter the UK each year using this visa from beyond the European Union. The MAC has proposed that the minimum salary threshold – which currently stands at £30,000 – be raised for the Tier 2 visa. The MAC is suggesting that this minimum annual salary requirement be raised by at least £10,000, and possibly as much as £25,000. This would hit UK tech companies who would then have to pay more to recruit the best in non-EU, overseas talent. High profile companies such as Google, Amazon and Facebook are unlikely to impacted by these proposed changes, as they already pay their employees salaries over and above standard industry levels. However, even these tech behemoths could be impacted if they look to bring young and largely untested talent into the UK from non-EU countries. At the moment, Google and co pay fresh-faced employees with less than five years experience between £35,000 and £40,000 per annum. Lower profile tech companies cannot match the salaries offered by such global giants, so it is those who will be hardest hit by these proposed changes. Such companies will have no choice: they either pay to meet these new salary thresholds, or they stop recruiting from outside the EU and attempt to fill skills gaps by finding sufficiently-talented EU nationals. 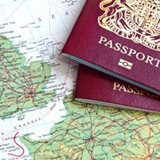 The review of the Tier 2 skilled work visa was commissioned by Home Secretary Theresa May in June this year. The MAC will submit its proposals back to May on 21 July. The co-managing director of Migreat, Josephone Goube said ‘By raising the annual minimum salary threshold of non-EU migrant workers to at least £30,000, the UK is putting a lot of pressure on small businesses and startups that do not pay such high salaries at entry level – even though they might be made of highly-skilled workers and talents.’ Migreat are a company that specialises in the provision of visa information. The timing of this change comes just as figures reveal that more tech-roles in the UK are being filled by non-EU employees. In 2013/14 6,500 available Tier 2 visas went unclaimed. In 2014/15 this dropped to a mere 200, and so far in 2015 hardly any Tier 2 visas have remained unused. If these proposals are adopted tech firms across the UK will be forced into a radical rethink of where they source their technology-skilled employees from.